The timing of conclusions is a very important aspect to consider, and it’s a good thing that the end of the year happens in winter and not, for instance, in the middle of the summer. The label Dronarivm has handed us the summary of 2013, and it comes with beautiful white ribbons of winter in it. 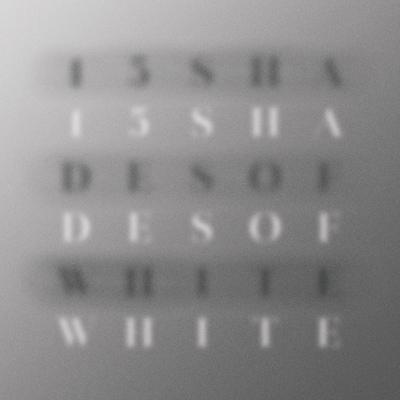 ’15 shades of white’ is characterized by a general cold, slow and slightly brittle manifestation of a proper cold, in the shape of seventeen tomahawks of winter. Please note – the album itself contains the first 15 tracks, while the remaining two are available as digital bonus tracks. The resulting tracks are varied and diverse, up to the point where the connecting line between them is purely conceptual. This makes this compilation album a very successful one. We can take, for instance, the fourth track by Ben Lukas Boysen, titled ‘Vega’. It combines soul piercing drones that reveal themselves later on as powerful cello sounds, guided by spectral hisses and firm, yet sublime grasp on the listener’s mind. Jacaszek’s ritual, on the other hand, is an enchanting experience, combining twisted strings, eerie ambient and beautiful female singing. I am writing about completely random tracks in here, since really – every track of these seventeen parts has its own magic and essentiality to this album. Dronarivm opens seventeen channels to seventeen cold worlds, and although it’s going to be a long journey, I would love to get to know these contributors more.